My name is Jayne Hall. I work as a full time complementary therapist and have over 13 years experience in this profession. 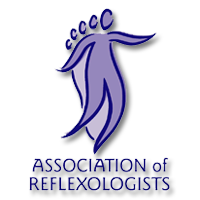 I initially trained at the Central London College of Reflexology where I obtained my Level 3 Diploma in Reflexology and I moved back to my home town of Doncaster to set up my own practice and develop further as a therapist. As well as Reflexology, I am a fully qualified (VTCT level 3 diploma) and experienced Aromatherapist, Indian Head, Swedish and Pregnancy Massage therapist. I also provide personalised Neal’s Yard Organic Facials. I also work as a Hypnotherapist, NLP & EFT practitioner and a level 3 Counsellor (Dip Hyp GHR reg, CPCAB.) 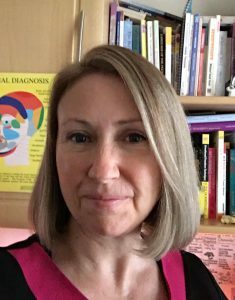 Many of my therapies often interlink and I do often combine the relaxing nature of hypnosis alongside Reflexology or Massage (this is very effective for sleep issues, anxiety, IBS or fertility problems). By seeing the client as a “whole person” rather than someone “with a condition”, I use my experience and knowledge of holistic therapies to provide a completely tailor made treatment programme. Based in Bessacarr, in Doncaster I have my own very peaceful treatment room where clients come to relax as they receive the different treatments that I offer. I am also mobile and do have several clients who can’t travel far or are house-bound. I believe that each of my clients deserve quality time to have their treatments. The consultations are confidential and individual treatment plans are set up to address any specific problems that need treating. Until the end of 2014, I was also working as a Primary School Teacher. This is a job that I had for 20 years! In June 2016, I completed a CPCAB Counselling Studies Level 3 course, so I can honestly say that being emphatic, a good listener and non-judgmental are my best qualities. I am also a mum so I know the importance of needing time to chill out and relax! Vouchers can also be purchased for that special occasion gift. If you read the Testimonials on my website, I think that you will find that all my clients have found my treatments to be relaxing, beneficial and also energising. Book a treatment today and see for yourself!